If you are in Chicago and looking for dating spots, we would definitely recommend Chicago’s Wicker Park neighborhood. The place is known for its local hipster culture, nightlife, the art community, and food scene. The crime rate in the area is relatively low and that has given birth to increased business operations in the neighborhood, with numerous new pubs and stores opening to serve the young. Wicker Park, as we mentioned earlier, likes to keep up with the trends. The area is renowned for hosting emerging bands and accommodating cutting-edge gourmet restaurants, bakeries, artsy businesses, high fashion boutiques, and upscale independent grocers. There are many things you can do in the neighborhood. For instance, if you want to take your date out for dinner and impress her/him without trying too hard, you can take him/her to Le Bouchon. The spot is technically in Bucktown, but we are going to ignore that fact since we love it too much. The place is a small, bustling neighborhood French bistro with classic cuisine and quaint décor. Or, if you are looking to go for coffee after a fantastic meal at an opulent restaurant, you should head to Filter Café. The café gives off a poetry slam vibe without the people articulating the poems they have written. Now, how many cafes in the world can do that? If both you and your date are quite the heavy drinkers, it would probably serve you both well if you went to a pub now, wouldn’t it? For drinks, you can go to Bangers & Lace. It is a good place to hang out and it also offers delicious snacks and full meals. Now, some people love indulging in a few activities while drinking and if you are like those people, you should perhaps take your date to the Emporium Arcade Bar. As its name suggests, it offers over 27 different types of craft beers on tap and boasts of over 47 1980s and 90s arcade games. However, be warned, while enjoying all the amenities that Emporium Arcade Bar has to offer, you may end up looking as if you’ve never been in a bar before. If both you and your date aren’t too keen on paying through the nose to have a good time, you can walk over to Sultan’s market on the corner of North Ave. and Hoyne Ave. You can then reserve or take over a table they have outside off of Hoyne, get a lot of beer, and try some cheap, but tasty Middle Eastern food. Towards the end of the night, you can take your date out to Ada Street for a fun and romantic evening. 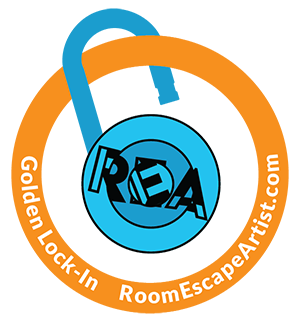 And as always, there’s always the option to come book an adventure at one of our exciting escape rooms – click here to learn more!